You’ll find all our light industrial and warehouse units to rent in London are at strategic locations in and around the capital with excellent accessibility to the road network. All our buildings are within 5 minutes of a major trunk road or motorway. The exact layout of each light industrial unit or warehouse is often left to the tenant and can be adapted for type of use and to optimise value. We typically have space available from around 500 sq ft to 15,000 sq ft with flexible lease terms. 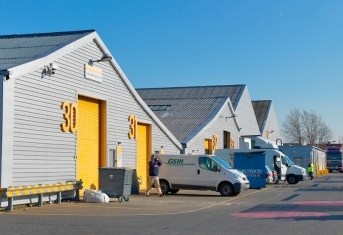 Our units provide superb workspace for light industrial use with flexible lease terms. Many of our premises have on-site security and a daytime caretaker and all offer 24 hr Monitored CCTV coverage with a call out facility. Here’s our current list of industrial units and warehouses to rent in London. If you can’t see anything in the area you’re looking for, just call us.